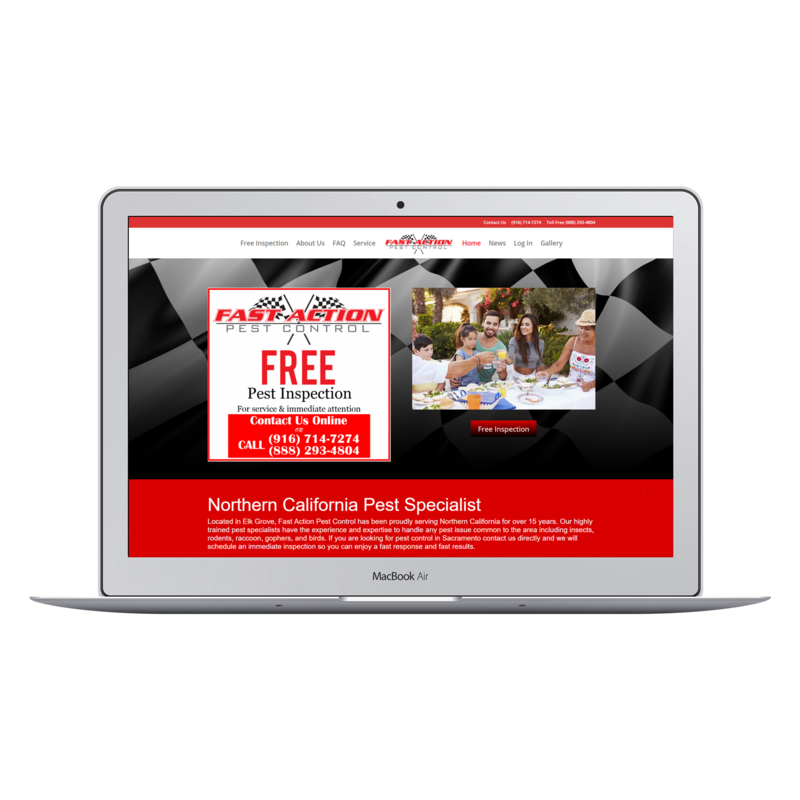 Located in Elk Grove, Fast Action Pest Control has been proudly serving Northern California for over 15 years. Our highly trained pest specialists have the experience and expertise to handle any pest issue common to the area including insects, rodents, raccoon, gophers, and birds. If you are looking for pest control in Sacramento contact us directly and we will schedule an immediate inspection so you can enjoy a fast response and fast results. 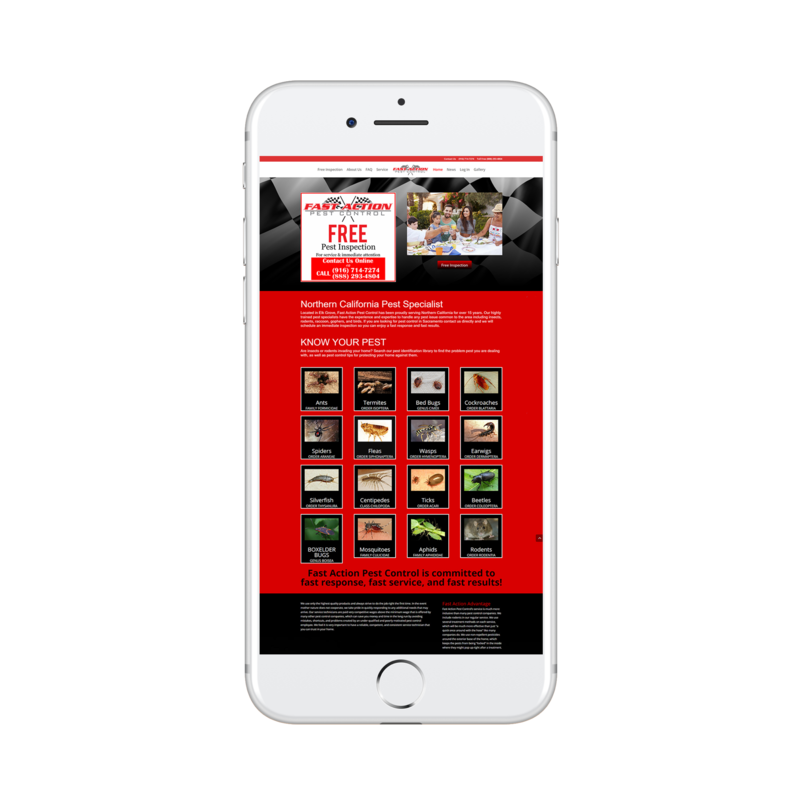 This website was recently redesigned to increase user conversion and mobile friendliness. I also added new CTA buttons with a better visual appearance and a homepage image licensed to the client. I added a free pest inspection scheduling calendar that lets the visitor schedule their own free pest inspection two days out. I changed a lot of the color scheme to reflect the company logo colors and add a friendlier overall appearance. I added new company profiles and changed some of the fonts as well. I did on page SEO that immediately increased the search rankings for the client.